Sun, sea and beach are tough on the skin which is why your skin deserves some extra attention..
NEW: Choose Pure or Enriched! 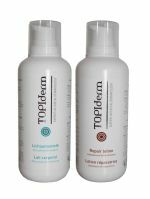 Our 200 mL packs are easy to bring along on holiday. 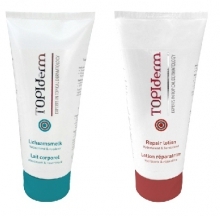 Both Topiderm Body Milk and Repair Lotion are available in this practical tube.